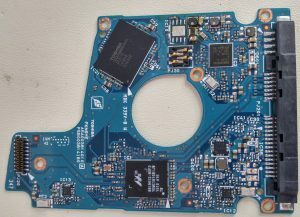 For standard hard drives we would just use a donor PCB and swap a single chip from the patient PCB to the donor PCB, or read/write the “ROM”. For SSHD devices there is an extra step. 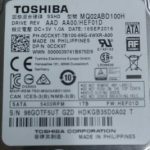 The SSHD stores data in the flash memory that is unique for each hard drive. When first powered on, after a chip swap to a good PCB, the hard drive will not initialize properly. Luckily there is a vendor specific command to re-initialize the flash and we can proceed with the recovery. In this case it was a 100% success.